He is sending all these people to heaven! That is not very smart of him. I thought his job was to bring everyone to hell. Considering the odds, if he lets them live, they have a 95% chance of going to hell, where as if he kills them in the womb or before a certain age, they have a 0% chance. Can you let me know your logic on that? 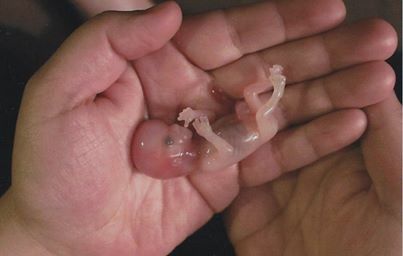 I will just say this; Satan is behind all evil in our world today including abortion. Satan does not have the power to send anyone to heaven or hell. Only God does. As for babies both unborn and born, God does not tell us anywhere in scripture that babies, born or unborn automatically go to heaven. This is a completely man made idea. If your church believes babies are without sin, it is wrong because God tells us in Psalm 51:5; surely I was sinful at birth, sinful from the time my mother conceived me. Babies are little sinners too and need God’s forgiveness. That is where baptism comes in. Baptism is a gift from God. It is not something we do for God, but something He does for us. 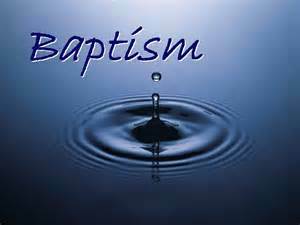 Through baptism we receive faith from the Holy Spirit, forgiveness of our sins and we become members of God’s family. The Holy Spirit puts faith in the hearts of little babies who are otherwise not able to understand or believe. It is then our duty as parents of that child to teach them about God through word and example as they grow. It is our responsibility to bring them up in the Lord. Many churches do not believe in baptizing infants, but I believe it is very important. Jesus commands baptism when He tells us in the last chapter of Matthew verse 19; Therefore go and make disciples of all nations, baptizing them in the name of the Father and of the Son and of the Holy Spirit, and teaching them to obey everything I have commanded you. Children are included in all nations. He isn’t saying; Go and baptize all adults and those old enough to understand. He is referring to and including all people. As to what happens to babies murdered through abortion, those stillborn or those who die of disease, injury or in any other way, without baptism; God does not tell us how they are judged. We know for sure from Scripture however, that all who have been adopted into God’s family through baptism will by faith go to heaven. So why would we not want that comfort in regards to our children? Our God is loving and merciful, but He is also a just God. He tells us in Mathew 11:25,26; I praise you, Father, Lord of heaven and earth, because you have hidden these things from the wise and learned, and revealed them to little children. These are comforting words, but we should not use this as an excuse or reason to ignore or put off God’s command to baptize our children. He expects better from us and rightfully so. We have a God-given responsibility to our children to bring them to God and nurture them with the Word as they grow. Dear sister, it is the the adults in child’s life who will be judged, the parents. God gives us free will, to turn towards him or away. Please pray for the parents. Please explain yourself further. I am not sure where you are coming from.